Capt. 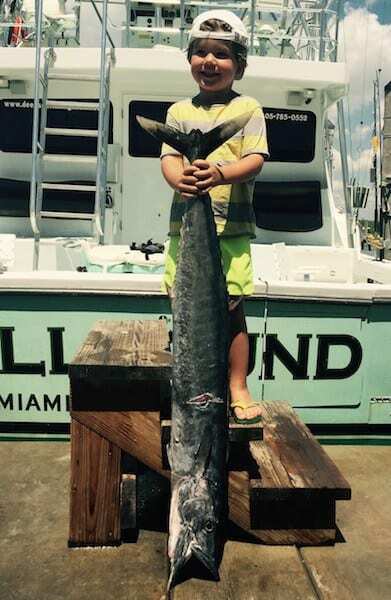 Manny has been on a mad tare catching Wahoo. Just a mile or so off Miami Beach lies the outside edge of our barrier reef. This time of year western edge of the Gulf Stream moves right on top of the deep reef. When this happens we catch a lot of Little Tunny (False Albacore), Black Fin Tuna and the trophy of them all… The Wahoo. Smaller Wahoo are mixed in with the assorted tunas feeding on what ever forage fish are available. Although the large Wahoo are following the schools of tuna to feed on them. Still Catching Wahoo off Miami Beach as the Gulf Stream edge and the reef are still colliding. One of the best strategies for targeting Wahoo successfully, is to get your bait under the surface. We use planers and wire line to accomplish this. I like to use planners, rigged with a combination of a Sea Witch and fresh cut Bonita Strip. A Drone Spoon in a 3 1/2 size silver with blue tape is also very effective. 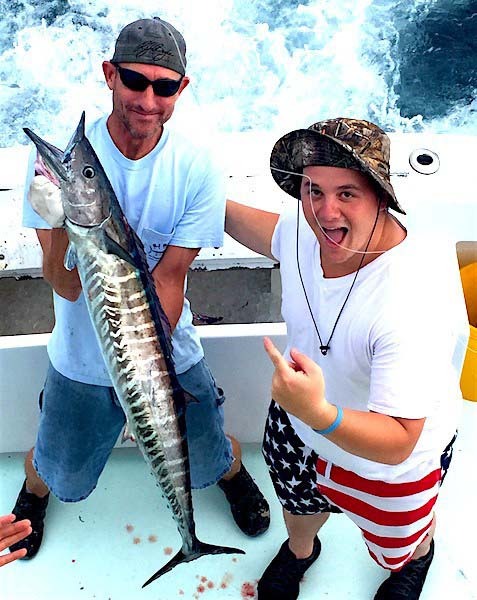 While using the trolling style of Deep Sea Fishing Miami we always have a deep bait or two in the spread. Wahoo seem to favor baits that are below the surface. During the heat of a long Summer day, we catch a wide variety of game fish on the deeper baits.